I HAVE FOUND YOUR SECRET. It's about time you got your own blog up man! 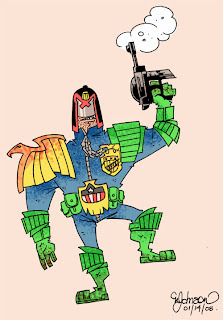 Good job on the Dredd. Very different and exciting from you.